Submitted by Simon Coleman on Sun, 24 May 2015 - 10:28. 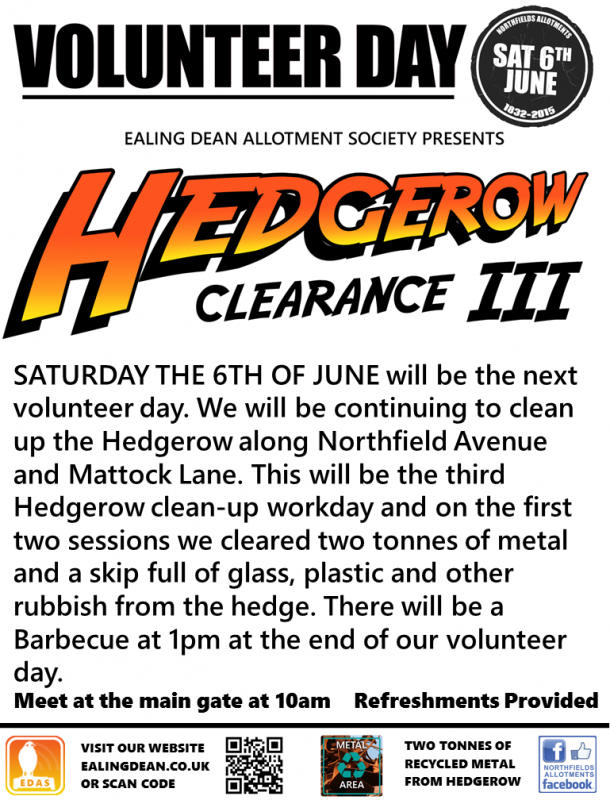 The next volunteer day is coming up soon on Saturday the 6th June. We will be continuing the clearance of the Hedgerow along Northfield Avenue and Mattock Lane. We cleared a skip full of rubbish and two tonnes of scrap metal from the last two Hedge clearance days. We hope you will join us for our June volunteer session - to help out and feel part of our gardening community. If you haven't been to a volunteer session - you’ll find it is a great way to meet and share ideas with other plotholders. Our start time is 10.00 - Saturday 6th June. Please come to the main double gate on Northfield Avenue - close to the two bus stops (map below). We'll start with an introduction and then depending on numbers we'll split you into small groups. We'll stop mid morning for tea and cake. We usually wrap things up around 13.00. We really appreciate all the help our volunteers have given us. So, on the last three volunteer sessions we have had a BBQ to thank everyone for their help. I’ll sort out the sausages – so do let me know if you are a vegetarian or don’t eat pork. Feel free to bring along a beer (or tipple of your choice). We do have tools...forks, secateurs and wheelbarrows - plus gardening gloves. However, if you have your own secateurs or gloves feel free to bring them along - just in case we run out. Please wear sensible shoes for gardening, getting muddy and to protect your feet. if you have any questions do contact me by email. 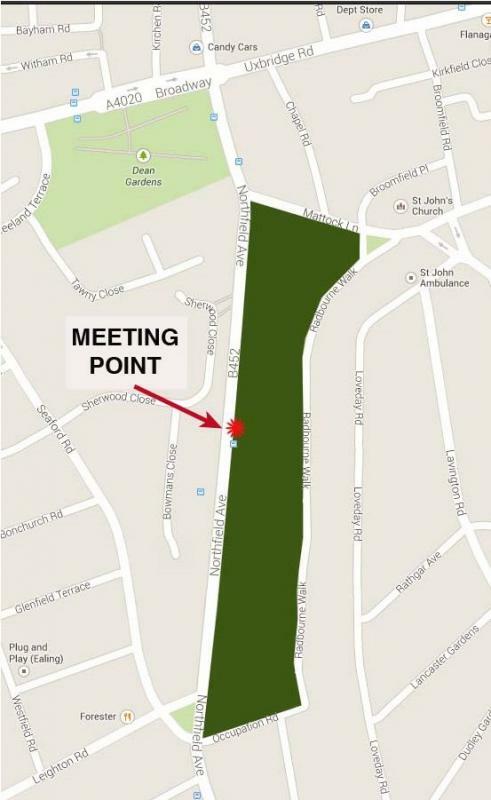 I look forward to meeting you on Saturday 6th June at 10.00 at the big double gates on Northfield Ave (map below). I do hope you'll come along and meet the rest of the volunteers. We’re a friendly bunch and the sausages are good.